Brand new to 5 Live, it is the BBC’s first homegrown podcast led and hosted by black British women. The Sista Collective offers candid conversation by women of colour, for all to enjoy. 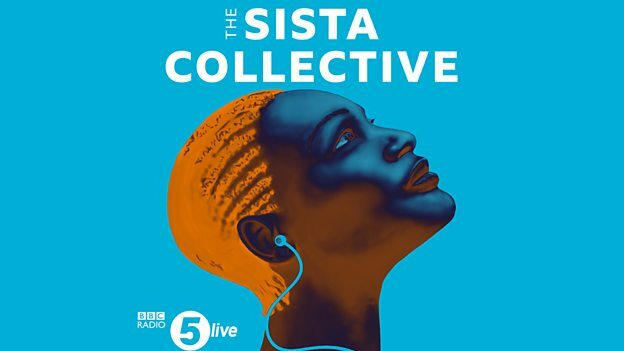 With an emphasis on hearing voices from all over the country, The Sista Collective will be driven by BBC Radio 5 Live journalist Jessie Aru-Phillips, whose mission it is to explore what it means to be a woman of colour living in the UK today. She will be joined by her regular podcasters: Team GB Olympic athlete and five-time European Championship medallist Anyika Onuora; Paula Akpan, co-founder of the UK’s hugely successful BlackGirlFest, who is listed as one of Forbes’ 100 women founders in Europe 2018; and Joanna Jarjue – a finalist on The Apprentice who was named favourite Reality TV Talent at the Screen Nation Awards 2018. The four hosts will deliver a conversation that is funny, thought-provoking and relatable, and will invite contributions from other women from around the country. They will bring varied perspectives to topics such as relationships, colourism, identity, body image and what’s trending on #blacktwitter – all alongside a big name guest each week.